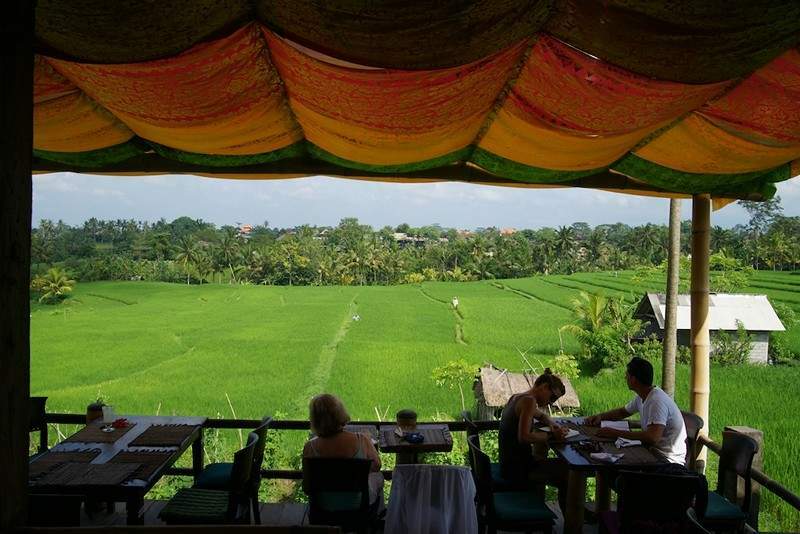 The rustic bamboo pavilion that rises like a ship in a sea of lush green rice paddys provides a quintessential Balinese setting with a focus on organic food and healthy elixirs. 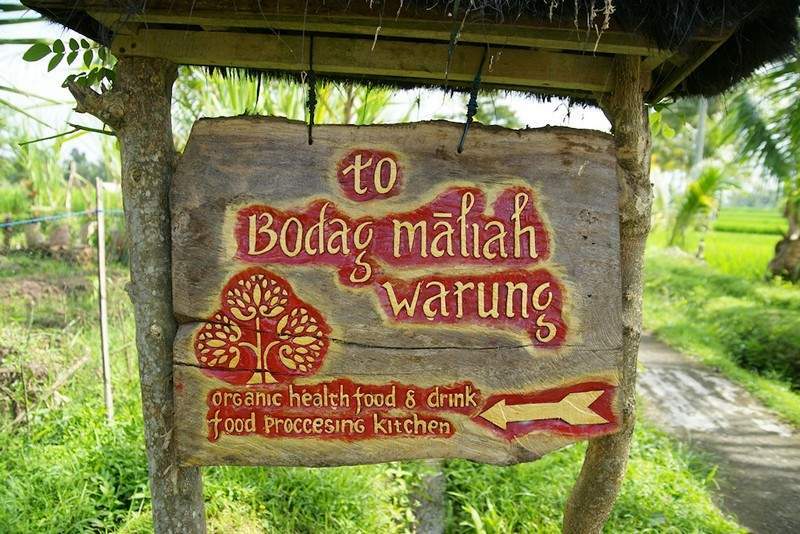 Bodag Maliah translates as overflowing basket, offering salads literally picked fresh from the gardens of Sari Organik. You can even pick them yourself! Founder, Balinese-born Nila, was horrified to see the heavy use of pesticides, telling the farmers, “If you give rice something to grow fast, also you will die fast.” She decided to show the way by creating the Sari Organic Centre basing its practices on fair trade standards and enriching the environment and the life of farmers and their families. 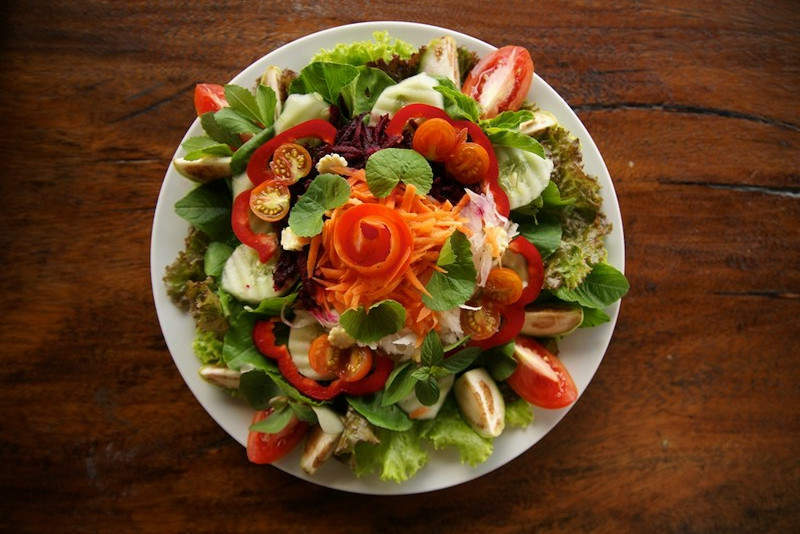 Guests are welcome to explore the farm which specialises in growing organic vegetables and rice, and also produces jams, homemade wines (try the dragonfruit) and cheese. Getting there is half the fun, a 15 minute walk (or bike ride) along a narrow trail across the rice fields. * Lontong rice cooked in banana leaf with vegetables, tofu and tempe and curry sauce. sari* Vegan Crepe with soya ricotta cheese. Working with farmers to minimalise use of chemicals and pesticides and support sustainable agriculture. Supports numerous social and educational programs aimed at environmental awareness.